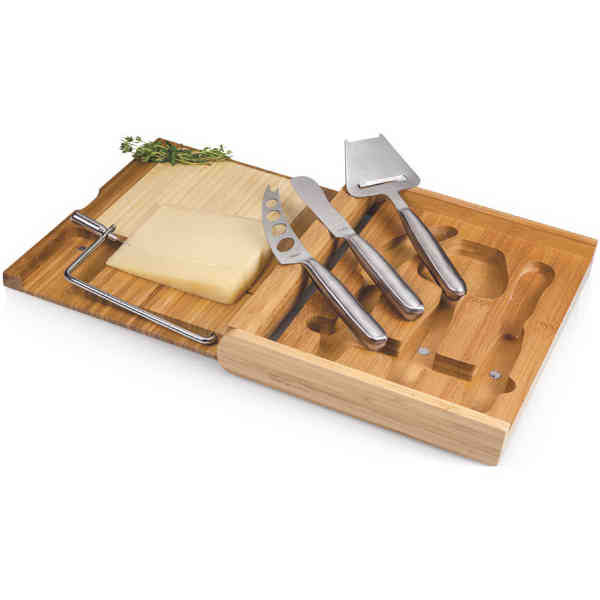 This is our wooden cutting board with a cheese wire and three stainless steel cheese tools. Magnets in board keep tools secured. Made of bamboo. Size: 9.5 " x 11 " x 1.5 "
Price Includes:One color, one location decoration.